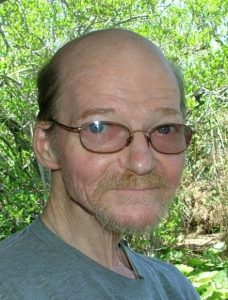 Edward J. McDonough, Jr. – of Florida, formerly of Woburn, unexpectedly on January 15th, at the age of seventy. Son of the late Edward J. McDonough and Mary “Rita” (Hamilton) McDonough of Burlington, MA, beloved husband of the late Margaret “Peggy” (Tilton) McDonough. Loving father of Barbara (McDonough) Andrews, her husband Stephen, and Kelley (McDonough) Kurban, all of Springville, UT. Dear brother of Michael McDonough, his wife Cecile of Nashua, NH and Paul McDonough, his wife Bridget of Woburn. Cherished “Grandpa Mac” of nine and great-grandpa of one. Father-in-law of Elias Kurban of Springville, UT, brother-in-law of Joanne (Margi) McDonough of Hudson, NH, and beloved nephew of Mary Gavin of Woburn. A Funeral Mass will be held June 15th, in St. Charles Church, with burial and Military Honors to follow at Calvary Cemetery, Winchester. Full obituary pending. Please check back soon. A Funeral Mass will be held June 15th, in St. Charles Church, with burial and Military Honors to follow at Calvary Cemetery, Winchester. You will be missed, but finally at peace. Barbara, Kelly and family; sorry to read the passing of Eddie, you are all in my prayers during this difficult time.